January 4, 2018 January 8, 2018 J2 Comments on What is the Appalachian Trail? Officially, it is named the Appalachian National Scenic Trail. Commonly, it is called the Appalachian Trail or the AT for short. It is one of the most famous hiking trails in the world. The AT is a hiking trail that stretches approximately 2,200 miles between Springer Mountain, Georgia and Mt. 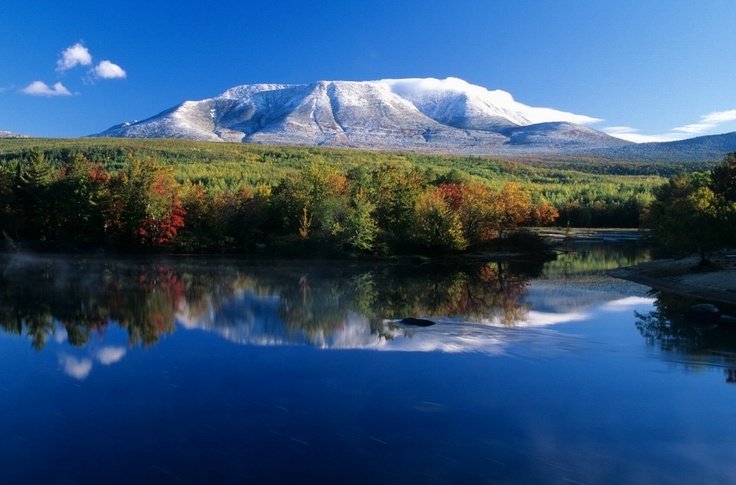 Katahdin, Maine (that’s the mountain pictured on the blogs homepage). It passes through 14 States in the Eastern United States. It draws people to it for all kinds of different reasons. Each year about 4,000 volunteers give back to the trail. The trails lowest elevation point is 124 feet and its highest point is 6,625 feet. In total, there is a total elevation gain of about 465,000 feet (89 miles) from end to end. That is a lot of up and down! History is all around on the AT, ranging from Civil and Revolutionary War sites, First Nations sites, sites related to the founding the Nation and much more. Nature and human communities are all connected by the AT. By many accounts the human interactions (with other hikers, trail angels and people in towns) are just as important to trail life as is experiencing nature. The Appalachian Mountains started forming about 480 million years ago when the African and North American continents were colliding. The mountains were thought to be as high as the Himalayan Mountains are today. Over time these eroded down almost completely. Then about 60 million years ago they reformed and what we see today is what remains. Along certain parts of the trail are ancient lava flows. To learn more, please consider visiting the Appalachian Trail Conservancy and the National Park Service. I’m looking forward to following your adventure. A dear running friend of mine, who attended the University of Minnesota to earn her DMA in performance violin, had taken a break after earning her undergrad degree. She solo through-hiked the AT. I’ve enjoyed her stories about that experience. I’ll love to try it someday, but will have to wait until I retire and have the time. Good luck and happy trails to you Jason. bwcaguy, don’t wait too long or you may never get it done. I’m following a friend along the AT now… his blog! He started March 1st, 2018 and is a few days from the Smokie Mts. as I write this. Good luck, Jason. Keep a look out for my friend, Hello Neiman, from MN and/or LA area of CA. I’ll try and follow you as well. I’ve hiked bits and pieces of the AT, including the Whites and Katahdin. I waited too long, I’m 71 now… but I’ve done a lot of backpacking. 😉 Cheers. Go North, young man!